Shortly after the above shots he picked up his bucket of Crystal Beach sand and dumped it on his head. Luckily, he still responds to instruction from his dad and with a little coaching the sand was going where he wanted it. Afterwards he rinsed a little in the Gulf of Mexico waves. Thank you for the kind words! 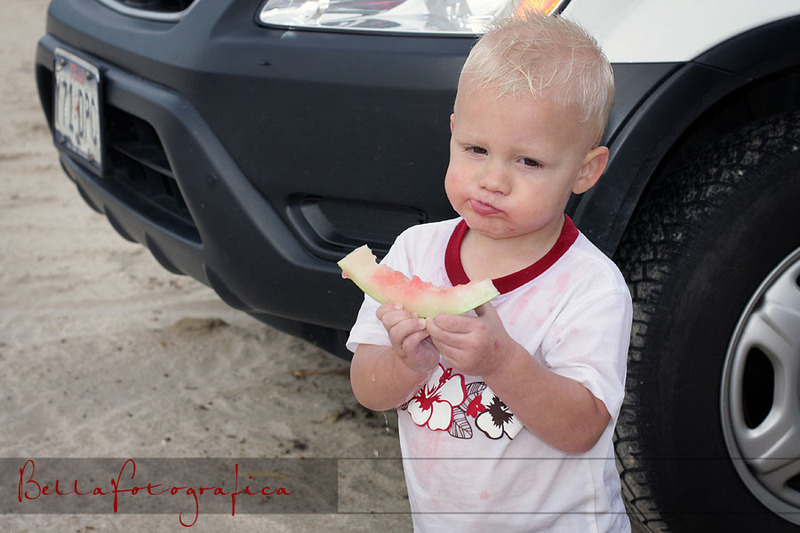 I enjoy looking at the pictures of David, especially the ones where he sinks his teeth into the watermelon. In fact, it makes me want to have one now! Awww! How sweet is he?!? That little outfit is almost as cute as his expressions. Awesome photos! Oh my gosh what a cutie pie! He looks like he really enjoyed the day and the one in the water is priceless! I stumbled upon your site after doing a search for photographers in Beaumont, thinking possibly of doing a family photo next time we come back home and really liked the ones i saw! Adorable kiddo pics and great photos of the wedding ! 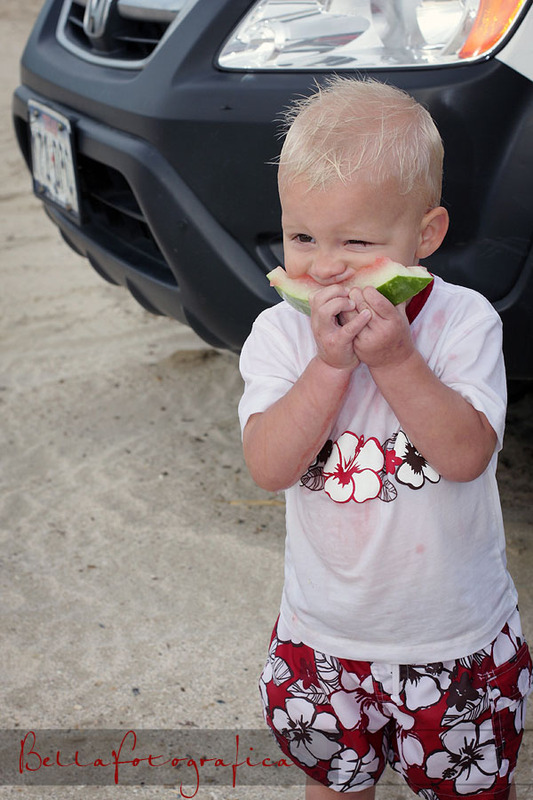 A boy, watermelon, and sand….what a sticky combination! I love it. That’s what summer is all about!! Tracy Besek – Dearborn Family Photographers last blog post..Senior Sneak Peek! The watermelon images are soo darn cute. 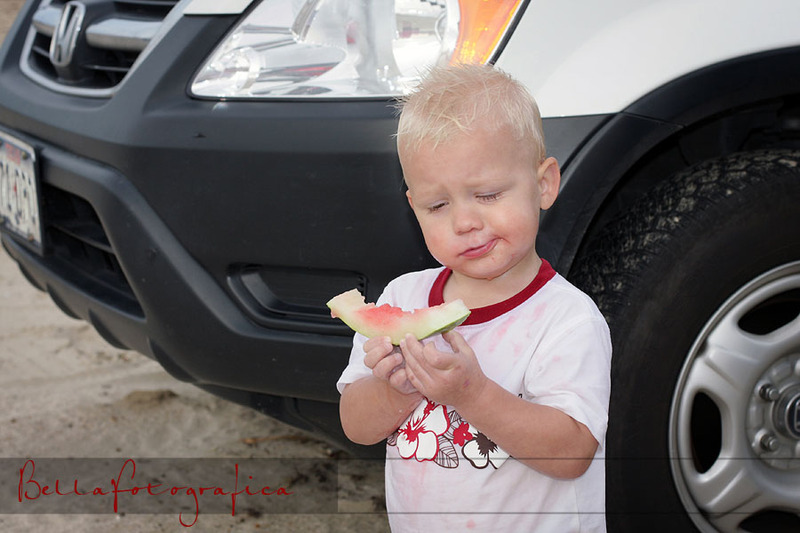 I LOVE watermelon in the summertime! What a cutie pie! You’ve got some great captures here. Well done! absolutely adore the last one with him smiling in the water… what a moment!!! any parent would want this one!